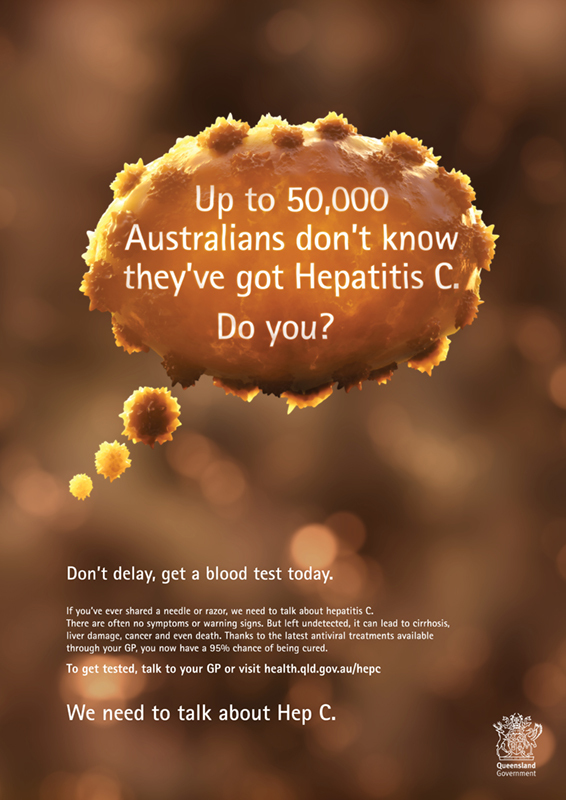 More than 300,000 Australians are living with Hepatitis C and up to 50,000 of them don’t even know it. And of those who do, the stigma deters them from seeking treatment – even though there’s now a 95% chance of being cured. Hepatitis C isn’t something people like to talk about – but they should. This insight drove the campaign line ‘We need to talk about Hep C’. To carry the campaign idea, a stylised Hep C virus speech bubble was developed – opening the conversation, removing the stigma and encouraging people to get tested.